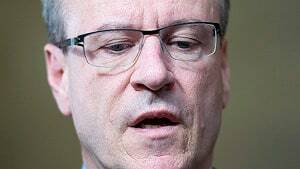 Former Liberal MP Borys Wrzesnewskyj’s long and tumultuous battle for Etobicoke-Centre has been decided by the Supreme Court in favour of Conservative Tim Opitz by a mere 6 votes. The case was not about the Etobicoke-Centre seniors home debacle with Opitz’s campaign manager or the infamous robo calls, but by the administrative errors made by Elections Canada that could have swayed a tight race separated by only 26 votes. But in a split decision, the Supreme Court found reason to reinstate 59 of those ballots — enough for Opitz’s election to stand. The majority decision argued the entitlement to vote cannot be annulled due to procedural errors and that there was a lack of evidence that most of the discarded ballots came from voters who were not qualified to vote. The dissenting judges, including Chief Justice Beverley McLachlin, argued procedural errors are a concern, and that counting ballots from voters who were not properly registered is unfair to other voters who were turned away for not having proper identification. CCLA argued that, where there is a failure to follow the legislation, the effect of which, on a balance of probabilities, calls into question whether a candidate was elected by a majority of qualified voters in that riding, the seat must be vacated and a by-election must be held without delay. It is essential that the principles of Canada’s constitutional, parliamentary democracy are upheld. The minority point of view, which is CCLA’s position, is that the legitimacy of the Parliamentary system rests on demonstrated compliance with electoral rules. These rules should be fairly and consistently applied and should ensure that only those qualified to vote do vote. Electoral systems can be manipulated and proper compliance with electoral rules are vital. For now, Borys will continue to run his popular Future Bakery in Etobicoke, and says he will run again in the next Federal election, as noted in his interview last night on CBC’s Here and Now (around 16 minutes in). You can read the full court ruling as well.